David was born and raised here in Salem County, having lived in Pennsville since 1974. He graduated from Woodstown High School and attended Plattsburgh State College and Glassboro State College. He also spent three years in the United States Army, serving a year in Vietnam. He married his wife Kathy in 1971 and has two daughters and four grandchildren. He retired in 1994 from the New Jersey Army National Guard after serving 19 years and in 2007 from Dupont Chambers Works after 32 years. David professed Christ as his Lord and Savior in 1995 and was called to be an elder in 2008. 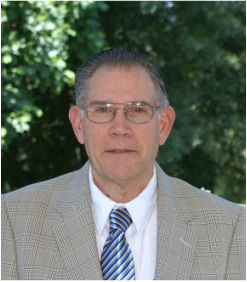 David serves as the clerk of session and is a member of the Presbytery of New Jersey’s Foreign Missions Committee. Warren was born in Salem county and has lived in Pennsville all his life. He graduated from Pennsville High School in 1964 and started working at DuPont Chambers Works that summer. Warren began his career as a laborer and chemical operator before accepting an apprenticeship as an Instrument Mechanic. He joined the Navy in 1966 working as a mechanic on jets and helicopters for 4 years, a year of that was in Vietnam. Warren resumed working for DuPont, where he retired in 2003 with 39 years of service. Warren married his wife, Connie, in 1968 and they were blessed with 2 daughters, Melanie and Marie, and 2 granddaughters, Morganne and Ella. Warren came to faith early in life and has been actively involved in church ministries his whole life. He was ordained as a Deacon in 2008 and also serves as a trustee and member of the praise team. He welcomes all to come and visit Grace Church to hear reformed preaching of God's Word. Tim was born in Philly, but spent most of his formative years in Camden County attending Emmanuel OPC in Bellmawr. Christ called Tim to Himself early in life. ​Tim graduated from Temple University with majors in Music Education and Violin Performance. He spent several years teaching in the public school system, but now conducts string orchestras at 4 different Christian schools in DE and NJ, as well as a large homeschool group in NJ. Tim met his wife, Christine, while serving at the Boardwalk Chapel in Wildwood, NJ, and they moved to Pennsville in 2009. They started attending Grace in 2010, and Tim was ordained as a Deacon in 2018. Tim & Christine have been blessed with a daughter, Talitha. Tim longs to see Salem County reached with the good news of the gospel.